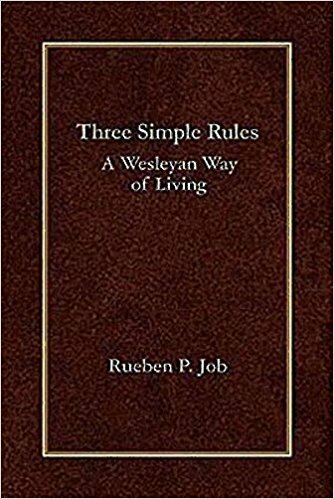 “Three Simple Rules: A Wesleyan Way of Living; Rueben P. Job; copyright 2007; 77 pp. I’m a Wesleyan and am familiar with the Discipline. Epigraphs for each of the chapters are taken from Psalms and the New Testament. This tiny little book includes a Daily Guide to Prayer and believe it or not, the musical rendition of “Stay in Love With God,” which is adapted from words by John Wesley.